Saina Nehwal, the badminton player has got another ace up her sleeve by making investment in the Soothe Healthcare’s “Paree” sanitary pad. With this development, Saina confirms her interest and contribution in the field of Make In India, Girl Child and Swachh Bharat initiatives. She is also the brand ambassador for Soothe Healthcare’s “Paree” sanitary pads. “A sanitary pad is a high social-impact product and Paree combines quality and affordability, thereby revolutionising the personal hygiene segment in women’s personal care in India. Paree has the potential of reaching every household in India and this is what sets the brand apart. It is about time that we recognize the heroes of the manufacturing industry contributing significantly to the Make in India campaign and to the society at large,” Saina said in a statement. Sahil Dharia, CEO, Soothe Healthcare, shared that they are excited to have Saina as their brand ambassador and a strategic investor now for Soothe’s “Paree”. “Funding received will be directed for expansion of business and branding initiatives. Soothe Healthcare is committed to taking a leading position for affordable consumer healthcare products. 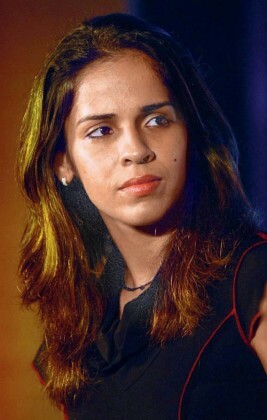 Saina’s association will further help the company achieve these goals as she is a role model for young aspiring girls and women, and connects very well with them,” he added.